I ended up baking them with maple syrup and 1/2 tspn of honey, and they turned out to be great. Everyone was really surprised by the taste and really liked them. The only "downside" may be the chewy-ness, but as the book states that's a part of the bagel, right? I added the wholewheat bits and pieces I sifted out for the miche, say 20gr, to make them more... healthy? Haha! 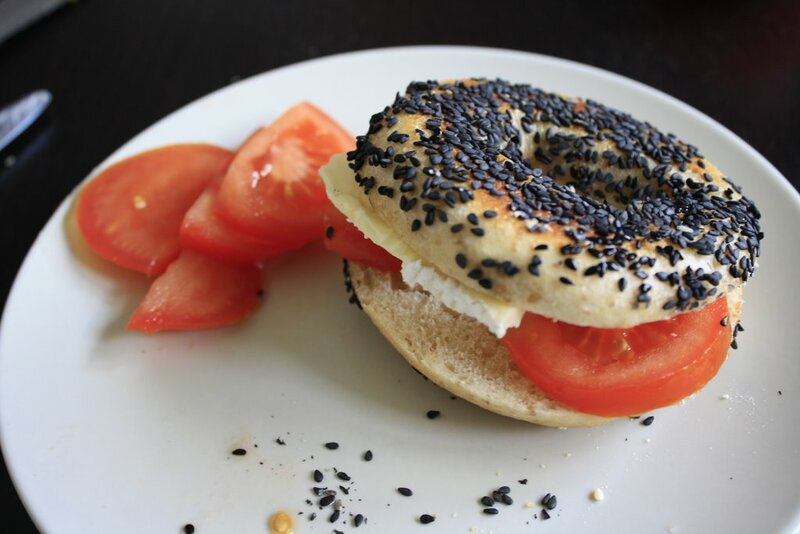 Next time I would love to try sourdough bagels. I've seen the BBA recipe and it's completely different so might try that one too. 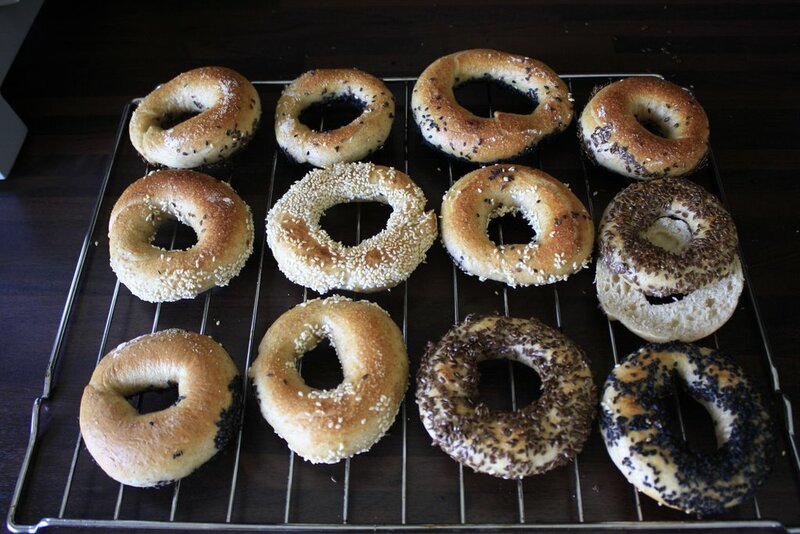 If you ant to try sourdough bagels, go to SourdoughHome.com which baker Mike Avery runs and get the recipe off there. It makes four 4 oz (113g) bagels but you can multiply it up pretty easily. And they are incredibly tasty - even better than Hamelman's, in my opinion. And yes, a good bagel HAS "chewiness" and is dense in heft and texture. This sets it apart from the commercial "soft, fluffy" garbage they sell at the supermarket.